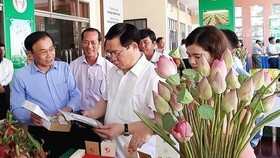 Although traffic infrastructure has significantly developed in the Mekong Delta region for the last years but some congestions need to be cleared for traffic connectivity in the region, say transport industry leaders of provinces and cities in the country’s largest farming area. The Mekong Delta has four major transport methods including roadway, inland waterway, airway and seaway. The frame infrastructure structure of roadway has basically been built but most vertical and horizontal roads have yet to meet requirements in road standards and planning. Inland waterway and seaway have not promoted the delta’s advantages as some estuaries have been filled with sediment while river and marine transport routes have not been developed appropriately. The Mekong Delta has four airports comprising two international airports, which can meet transport demand until 2030. According to the Ministry of Transport, the region has developed 46 traffic projects with the total capital of VND76,462 billion ($3.36 billion) since 2010. Of these, there are 39 road projects. Forty percent of the investment funds come from government bonds and 19 percent from state budget. Non-budget sources account for 19 percent concentrating in BOT roads and aviation infrastructure projects invested by Vietnam Airlines and Vietnam Air Traffic Management Corporation. So far, 39 roads have been built with 1,036 kilometers of upgraded and broadened roads and 60.2 kilometers of bridges. 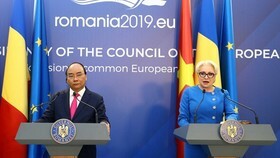 Nineteen others are being implemented comprising five using VND2,127 billion budget capital, three using VND3,880 billion government bonds and five using VND39,375 billion Official Development Assistance funds. In addition, six BOT projects worth VND20,728 billion are under construction. 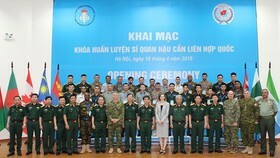 Works that have been opened to traffic, met socio-economic development demand and ensured security and defense for the delta and the country, including Can Tho, Ham Luong, Co Chien, My Loi and Nam Can bridges, HCMC-Trung Luong expressway, Quan Lo-Phung Hiep road, Nam Song Hau (Southern Hau River) road. They have facilitated travel of residents and transport firms from the delta to HCMC because people no longer have to travel in only route National Highway 1A as before. From 2010-2015, the total transport volume of the entire region topped 4,657 million passengers and neared 470 million tons of goods with the average growth rate of 4.4 percent and 4.9 percent respectively. Despite the significant development, traffic infrastructure in the Mekong Delta still have many congestions need be solved to better traffic connectivity. The biggest one is Trung Luong-My Thuan and My Thuan-Can Tho expressway with the investment capital of nearly VND9 trillion and VND7 trillion. 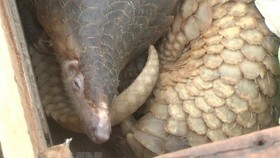 They plays an important role in linking the Mekong Delta with HCMC. Mr. 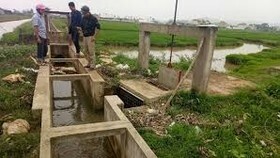 Son Minh Thang, deputy head of the Southwestern Steering Board, said that the Government has many times worked with provinces in the delta to speed up about the projects but they have been congested with capital shortage. Project N2 worth VND26 trillion comprises two main parts. 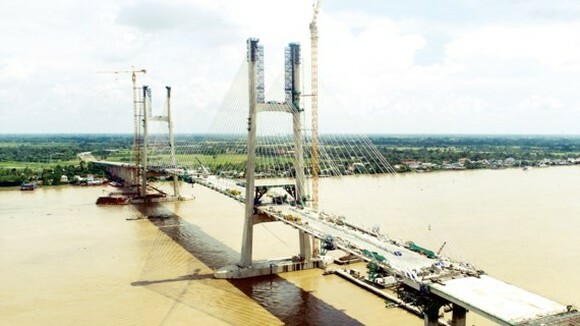 The first part is Cao Lanh bridge and a road leading to Vam Cong bridge with the total funds of VND19 trillion. 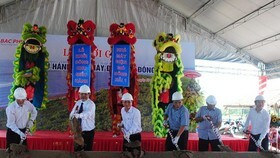 The second part will build roads from Vam Cong bridge to Kien Giang province with VND6 trillion. The first part should be built at the end of this year while the second part should be built next year. In addition, a project needs be carried out to upgrade Highway 30 linking Route N2 up to HCMC-Can Tho expressway and National Highway 1A. 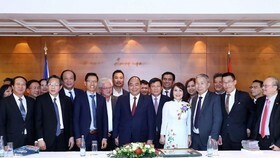 Another congestion is a road project connecting with National Highway 1A and HCMC-Can Tho expressway to reduce the distance from Ca Mau to HCMC by 70 kilometers and boost the development of seven provinces in the eastern Mekong Delta. Of these, Dai Ngai and Rach Mieu 2 should be built soon. Mr. Vo Hung Dung, director of the Vietnam Chamber of Commerce and Industry in Can Tho city, pointed out unreasonable capital structure in traffic development in the delta. Specifically, 79 percent of investment capital has been invested in roadway and 13 percent in maritime. The ratio is only 1 percent in inland waterway which is the region’s strength. So he proposed the Transport Ministry to focus capital on major waterway routes and seaports besides road projects which have been implemented to improve traffic infrastructure and connectivity in the region. In the phase of 2017-2020, the Ministry of Transport will continue focusing on building five vertical routes in the Mekong Delta including N1, N2, National Highway 1A, HCMC-Can Tho-Ca Mau expressway and coastal corridor routes. Aside from that, it will develop and upgrade horizontal routes including Highways 30, 53, 54, 57, 61, 62, 63, 80, 91 and large bridges namely Vam Cong, Cao Lanh, Dai Ngai and Rach Mieu 2.
International Airport such as Can Tho, Rach Gia and Ca Mau will continue being upgraded to improve capacity and service quality. The ministry will study to find capital source to build HCMC-My Tho railway route, upgrade existing inland waterway routes, complete passage and seaport port projects in the Hau river and develop Cai Cui seaport into national general port.